I’m looking for an action camera that will power up to my RTW while recording or last for 4 hours on internal camera battery. 4K video preferred, but 1080 ok. 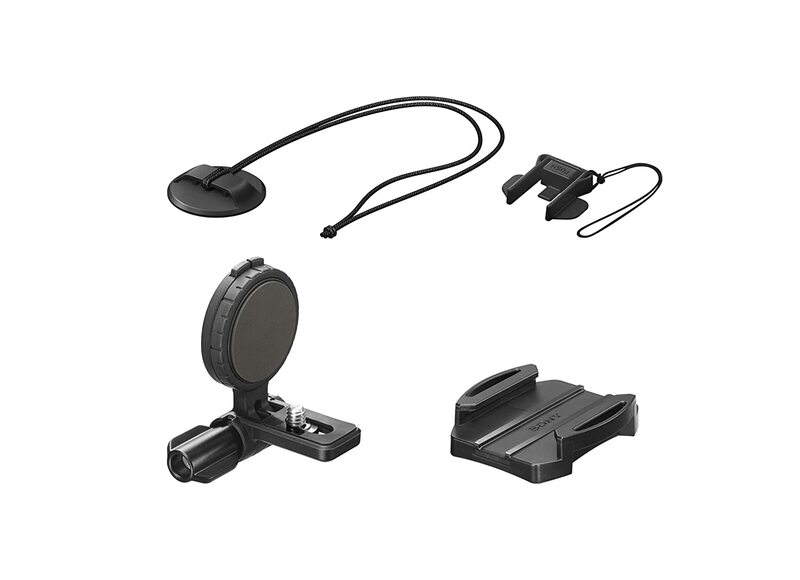 Anyone using this set up, or know it doesn’t exist? The hard part is the 4 hours internal battery! I don't know of any action camera that has that capability. My present helmetcam is the Sony FDR-X3000, which has 4k capability, but the internal battery will not last anywhere near your 4 hours requirement. 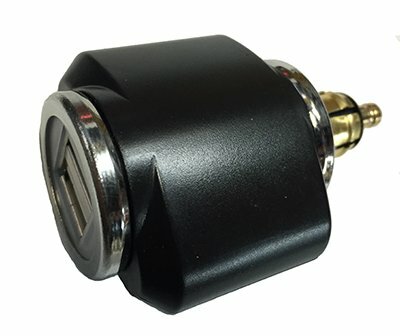 I use a USB cable to connect the Sony's external port to a USB "charger" that I have plugged into the RT's front aux. outlet port, which allows me to record until my 128 GB card is filled up! Your other choice is to do similar thing, except connect the other end of the USB cable to a portable power bank (very inexpensive nowadays) that may reside in your jacket pocket! Last edited by PadG; Jan 31st, 2019 at 7:24 am. Where are the action camera placed? I like Pad also use a Sony FDR-X3000. I can't imagine wanting to record 4 straight hours of video, you would never have time get through it and edit it all. The beauty about the Sony is it comes with a remote with a LCD screen that shows the view the camera is seeing so you can aim your camera correctly and record all the highlights of a ride while easily controlling the camera functions. I get upwards of 4 hours on a battery with mine when I power it on and off with the remote and record the about an hour of video. Tom, if you are looking for something to use like a " Dash Cam" running all the time, you are going to have to find an alternate power source as mentioned. Portable battery units might do the trick if you want it mounted on your person or, you could look at something like the Innovv K2 for both front and rear cameras simultaneously or the C5 single camera DVR systems. There are others like this that cost less but these are in their second gen correcting issues in the first gen and are pretty good. I have several cameras that I use, a C5 and Panasonic a 360. Using them at the same time has proven difficult as the wi-fi management apps of each conflict. What intentions do you have for the cam, that may help others suggest options. The video below was done with the Panasonic if the link works. No camera movement, only software manipulation of what the camera records. Last edited by bmwcoolk1200; Jan 31st, 2019 at 11:38 am. Thanks for the info and video. Quality is unreal, especially compared to my current iPhone set up. &#x1f642; So the Sony will charge while recording thru the USB? I couldn’t find any mfg that said that on their site. Two more questions - how long does the 128 disk last, and will it take a larger disk? Thx! The camera is mounted to the right side of my helmet, as far forward as I was able to, on my Neotec 2. Note that the Sony has optical stabilization, which makes the video looks very steady, and it is the reason why, in my video, my helmet seems to move independently to the camera at times! The 128 GB microSD card will hold about 6 hours of 4k video, and yes you can put larger microSD card in place. I don't recall the limit size though, if there is any! I am relatively new at videography, and got hooked on it when I bought my drone over a year ago. I do record my full ride, in 4k, but know that I don't have enough storage space for the normal 8 hours that I would typically ride, and so I have an extra 128 GB with me on the ride, to be swapped in at my usual pit-stop. At the time of purchase, 2x128 GB cards were cheaper than a single 256 GB card! DO make sure that you buy the very high speed microSD card though. The camera is smart enough to refuse to allow you to use low speed card to record 4K! The remote (available as an option, or part of a kit package) not only display real-time video of what the camera "sees", but can be set up to turn the camera on or off, and you can configure it to have the camera starts the recording as soon as it turns on as well. That is how I had set up my rig. Very handy camera, but not inexpensive! I was looking for an action camera that would do 4k video, to match the one on my drone (DJI Mavic Pro), and picked the Sony. It is a good camera, but I wish that it has many of the more "professional" type of features that are available on the Mavic. BTW, you are right. Sony not cheap. Do you trust the helmet mount? Did the mount come with the camera? My intent is to get the simplest system so I can set it and ride. Much like a dash cam. Most will be edited out later. I just want to capture the highlights of the ride. Most of my rides are <200mi but don’t want to scramble to be able to record a weekend trip or two. The stick-on mount does come with the camera, and this is the first time that I had used one. It is very secure, and after having used it for a year, I would say that it will not come off. I have it on all the time for the reason that you mention. My concentration and priority is on the ride, and I don't want to even think of the camera while riding. The distraction could be dangerous. PadG, I’m still looking at all options, thx for all the info. Do you have the standard BMW supplied USB plug in, in your right side small compartment? If so, is that where you plug in the camera? If not, do you have a charger device plugged into the aux, and where did you get the charger? Scotty, do plug in and how, or are you all battery? I am all on battery. I have a couple of spares but typically just need to make one change on a day of riding. That USB connection in the right compartment can put out only 800 mA (0.8 amps). It's in your manual. Not enough power for the Sony, but funny enough, it is fine for the Prism! I found out in my early days of using the Prism. Rode away and forgot to plug the USB charger into the aux. port on the RT, and of course, forgot to plug the Prism into external power. When I realized this and stopped, I didn't feel like going back, and so I plugged the Prism into that USB connector in the right compartment. The Prism was good for the full 8 hours ride on that connection! DO shop around to get the best price! I believe $20 is very possible. I like this particular one for its low profile, but more important, it "click" in when you insert it fully into the aux. port, and seem to lock in place. I had a less expensive one before this one, that did not "click" in place, and I had lost it on the road while touring the Scottish Highlands a few years back. Well, on to The web to find a x3000 and Amazon to order the adapter and then a ride! Already 55 outside. Thanks again. Hey, you can't be that old, if I had started riding several years before you did! You can tuck it inside your helmet, if you want to narrate the video, or in my case, I simply velcro it to the front of my jacket, about 1/2 way down. This will allow the video to pick up all of the ambient noises, like the engine sound, without the annoying wind howl! Watch the video that I posted earlier on a desktop computer, with fairly good speakers, and you will hear what I mean. The Prism uses the microphone inside the helmet, and so it still gets some wind noise when I have my visor up, and the sounds from outside of the helmet is a little muffled, as to be expected. 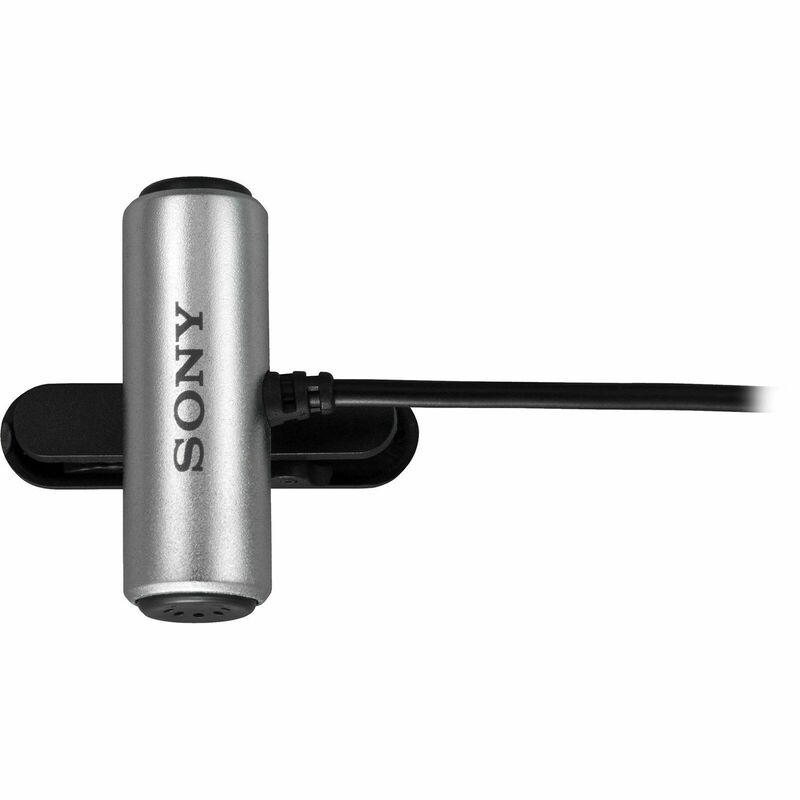 I like the Sony setup much better, even with this fairly inexpensive external microphone. You can use any brands that you like. Thanks for the tip! BTW, what helmet mount are you using? It comes with a "safety" lanyard, which I don't use, because I wrap the USB cord around the mount before plugging the other end to the charger. Figured that if the adhesive let go, and the camera falls from the helmet, it would still be tethered by the USB cord. Thanks again! I got it ordered. Just waiting for all the parts and pieces now. FYI....that was a crow. Nice ride. It must be in the setting somewhere. My file is HUGE in size, with just a single file for each time that I record and stop recording. I like that, because the Prism and the GoPro that I used to use will split the files into large "chunks" rather than one continuous file. Oh yeah, I think I know why you are getting those several small files! Make sure that you are in the continuous recording mode! There is a mode, that I had gotten into quite accidentally a few times, that will record only interval of times that you may have set! I have had files over an hour long when I forgot I was recording so it must be a simple setting. Got it! Thanks guys. Again!